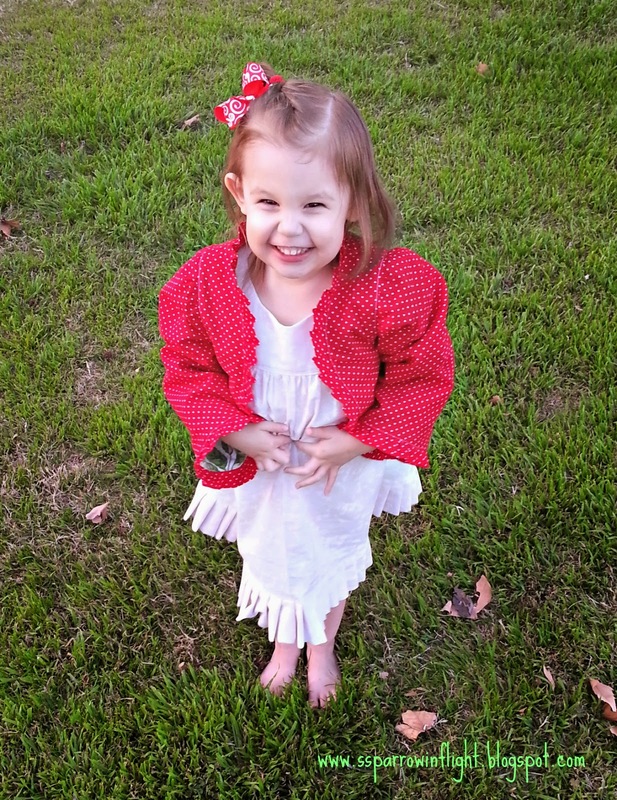 I have to gush over this jacket pattern by Lilac Lane Patterns as it's absolutely darling! 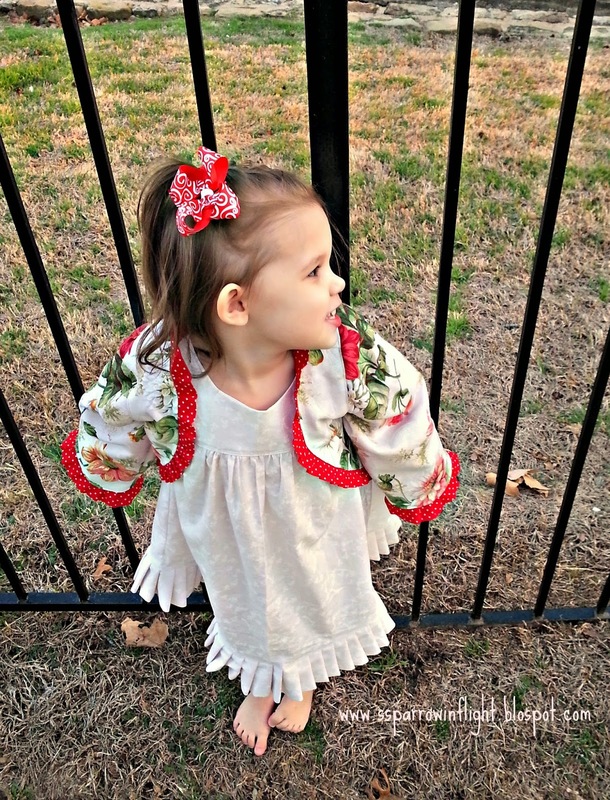 It was easy to put together, the instructions seemed clear and I sincerely cannot wait to make some more, perhaps next time I might do the short-sleeved option to go with some of Ziona's summer dresses that I am working on right now. I made a longer version of Lilac Lane's Sunny Days top and added in a row of pleat-ruffles to add to the ruffling goodness of this jacket. 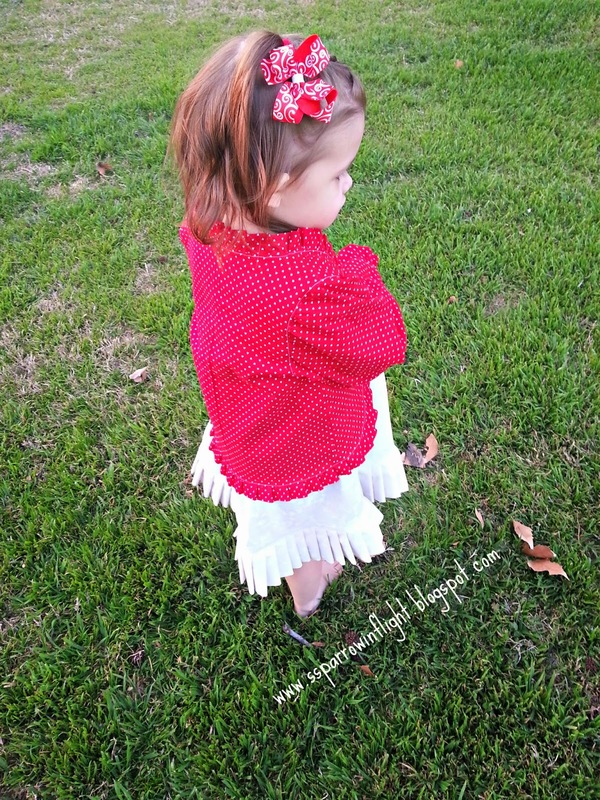 My favorite part about this jacket is that it is reversible(see pictures below)! The best part is that their Valentines sale goes through tomorrow! 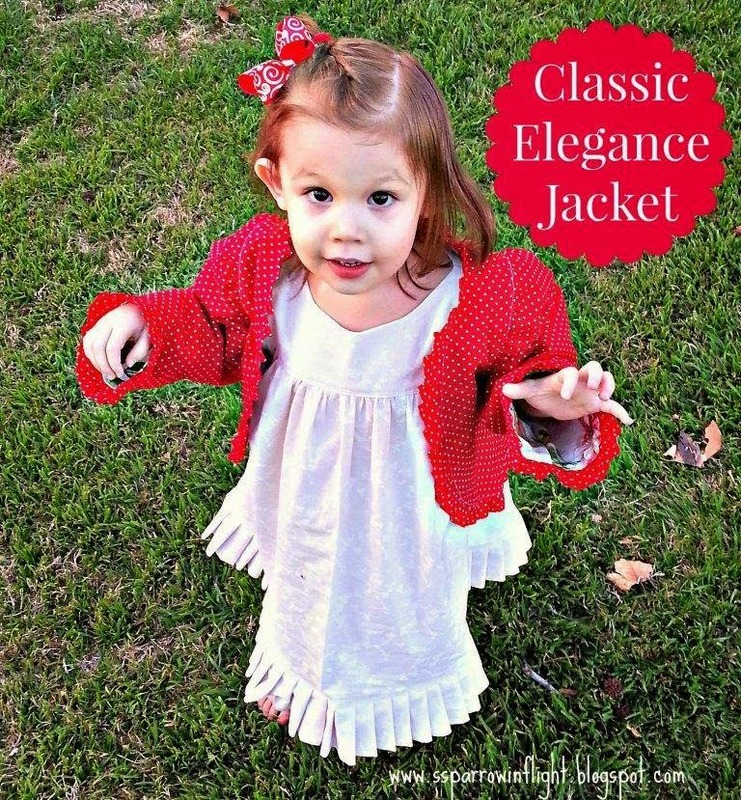 You get 25% off with coupon: VALENTINE2015 You can find the Classic Elegance Jacket pattern HERE, but look around, there are so many other adorable patterns for girls and dolls! 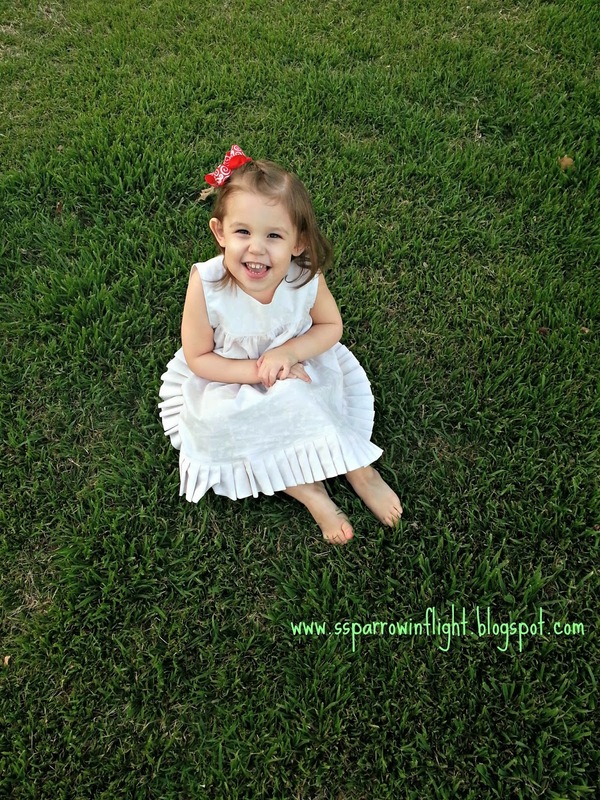 She is such a sweet little model! The jacket looks so cute on her too. 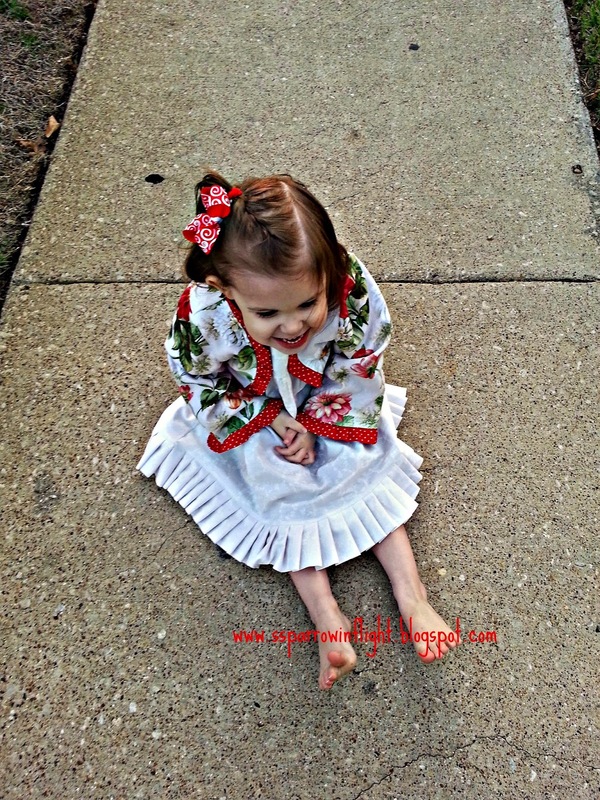 So not fair... it's February and you have green grass and she's barefoot!! It is currently -4 with a real feel of -30! I'm jealous (but not enough to move to TX.) :) She looks adorable! Oh my goodness, how adorable is she?! Look at those eyes! Great job with the jacket, Shanna! So glad you linked up to TGIFF!